Minnesota stationary IC engines SO2 fuel usage change deadline: 1/31/2018. As environmental managers are planning for 2018, one thing to plan for is Minnesota’s update to Minn. R. 7011.2300 Standards of Performance for Stationary Internal Combustion Engines (IC engines) according to a November 27, 2017 Trinity Consultants report. 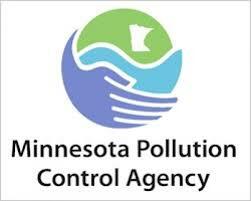 No later than January 31, 2018, owners and operators must not combust fuel in an IC engine with a sulfur dioxide content in excess of 0.0015 lb./MMBtu actual heat input unless an alternative sulfur dioxide emission limit has been proposed to the Minnesota Pollution Control Agency (MPCA). In order to propose a revised limit, a modeling demonstration and permit amendment application must be submitted. Effective 1/31/18 Minnesota owners and operators of stationary IC engines must not combust fuel in an IC engine with an SO2 content in excess of 0.0015 lb./MMBtu actual heat input unless an alternative SO2 limit has been proposed to MPCA. Contact MIRATECH for stationary engine compliance solutions.